Lillian looks more like she wearing a mere costume with her leaf designed dress that hugs her body tightly until reaching the waist where the dress takes the form of a green onion. Around the neck line of her dress rests five healthy yellowish green leaves that look much like decoration when it’s actually attached to her, just like everything else. The top half of her dress (waist up) is more of a light green while the onion shaped torso is a darker green, but it’s only darker by about 2 or 3 shades. Going with the dress are two long dark green leaves that come from the back of her ‘dress’, acting as if they are ribbons that loosely wave in the wind. The leaves seem to look exactly alike to the lead sleeves that only cover 80 percent of her skinning arms, getting tighter the high up you look. Like I previously stated before, the dress looks like some kind of regular dress when in reality it’s actually her skin, which she uses as clothing. The one thing that isn’t skin is her onion like torso, which is forever attached to her dress like skin. Lillian’s eyes are inhuman like as well, being a bright red which somehow looks calming to most people who look into them; her eyes are also pop out more than usually since she has thick eye lashes that perfectly go with it all, creating a look of pure royalty. Her skin is white as snow as well, giving a innocent look to her which most seem to love, especially with her thin pink lips and thin eye brows that barely show at times. Another feature of this beauty is her long green hair which reaches down to the middle of her torso, always looking perfect under her flower ‘hat’ which is simply two fat leaves and a pink plumb flower that seem like a hat to most, but it’s really her skin again. Lillian is a caring girl whom most generally love, never seeming to grow bored of her tender heart that always brings smiles on people faces. Not only is her warm heart charming, but her soft voice is something a lot of people love since it holds a relation to the sweet sound of gentle music. To put it into simpler terms, the girl is someone who is almost impossible to hate. She can be shy at times, but only when it comes down to males, mostly since she has a bad past with them, and no matter what she does, it forever haunts her to this day. Over time Lillian continues to run from her past like she can somehow out run it, but in the end she understands that it’s impossible. Likes: Lillian is a woman who likes many things out of life, but the things she loves dearest is certain. One of the few most important things out of life for her is Pokemon. Despite how pokemon tears was one of the worst things that ever happen, she doesn’t blame the pokemon species for it at all. Instead she cherish them like they’re her own family, and to her they are. Lillian loves all pokemon, but her favorite was always Lilligant, even when she was a small child. She enjoyed the way it was always so calm, which is much like herself, especially now that she is part Lilligant. Going on to her second love; breeding. Ever since her life changing accident, Lillian fell in love with the idea of creating stronger pokemon with the help of breeding. She loved it so much that this became her one and only passion, taking up everyone second of her life for 5 years now. Dislikes: For someone as gentle and loving as she is, Lillian only dislikes a few things out of life; one of the things including the night time. It isn’t that she’s scared of the dark, but the fact that she feels weaker during nightfall than during the daytime, which is explainable. Its not only that though, but also because most horrible things happen during the sun’s slumber; like robberies, murders, kidnappings and so on. Another thing she hates is war. The concept of fighting to the death doesn’t sit right with her, it’s just a waste of valuable lives! Just saying this cursive word makes shivers run down her spin, even if it’s used in a good way. Goals: To become the best breeder in the world. One of Lillian’s main talents is understanding people. This girl has been through so much that she can understand the pain of others, or understand how it feels to be alone, and this helps her connect with anyone she sets eyes on. Of course most built walls around themselves, but Lillian has the natural talent to go through all those walls to find the real them; the person who they usually hide from others. Another talent, well skill, is breeding. She knows all of the egg groups, natures, and everything about abilities. She even knows a decent amount about typing, which makes her a great companion to most trainers on their journey. 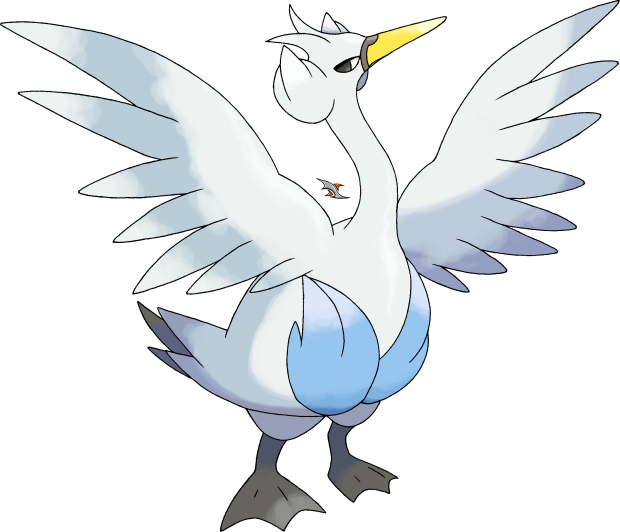 Like I previously stated, Lillian is great with Typing, abilities, nature, and egg groups, but she lacks knowledge of how to come up with a good plain during battle, which is why she isn’t a great trainer. Her brain just freezes during a battle, so she can’t figure out anything or even think for herself correctly. This is mostly because she has a fear of being under pressure. This frightens her so much that she sometimes runs away during a battle just to cry under a tree. As a child Lillian was a very beautiful girl who made most people envious of her natural looks. She wasn’t just pretty on the outside though, but in the inside as well. Her heart was pure as gold, which was something hard to come across in the nasty town she grew up in. Lillian always believed good things happen to good people, but she was proven wrong the day she went to the woods her best friend Emily. The two girls were closer than two humans can be, knowing every little detail about eachother. If you were to ask what was one thinking about, the other one would easily answer you with a correct statement. All of this changed in the matter of seconds though as a man ran up to them and snatched Lillian away. The poor girl was took by shocked as the man grabbed her, but believed her friend would save her! Sadly little Emily just abounded Lillian, fearing if she went near him he would take her instead. Lillian was crushed. Her closest friend didn’t even try to help her! This fact haunted her for the whole time she was in there, mostly during the first year though. The worst part was that this poor girl not only had to live in her kidnapper’s cell for 6 years, knowing her friend didn’t even try to help her get away, but Lillian was abused physically, mentally, and sexually. That wasn’t the worst part though. The thing that really breaks people hearts is the fact that she somehow caught the virus the day she escaped the clutches of her kidnapper. Luckily Lillian was able to cure herself with the tears of her pokemon friend Weedle, whom she loved with all her heart. For the next year, Lillian and her weedle explored the forest, cities, towns, and about anywhere they feet took them. Soon enough though, Lillian turned into a morph of a Lilligant. This transformation changed her so much that her weedle ran away, thinking she was someone else. Once again Lillian was alone, but this time she had no where to go. Every city rejected her, thinking she was nothing more than a feared beast, but in reality, she was as harmful as a teddy bear. Happiness filled her heart again a year later when she discovered the magical world of breeding. She learned it from an old woman who took her in, promising to teach her everything she knew. Together, the two studied about breeding, breeded pokemon, learned about natures and even opened up an egg shop which helped them buy more books about breeding. They even grew berries together, making juice out of them for their pokemon. While this went on, Lillian also trained her three favorite pokemon, which she breeded herself and trained since they were mere eggs. Soon enough Lillian went a different path from her motherly figure, searching for trainers she could maybe explore the world with, or learn how to get closer with pokemon. “Come on!” Lillian cheered as she marched down the forest with her Miltank close behind, singing a lovely tone. The two just finished their training session and was off to a nearby lake some pidgey told them about. Apparently the lake was said to be a national landmark, famous for it’s heavenly water. Just hearing that made this morph smile like no other. “I can’t wait to get there! How about you, Cream?” Her pokemon simply answered her question with a happy call, hopping over to her side with a smile. Just seeing her pokemon, who wasn’t the skinniest creature, hop up and down made Lillian giggle like a school girl who was just told a rumor about someone they know. The Miltank looked at her with a question frown as Lillian continues to giggle at what she was witnessing before her. “I’m sorry…” She eventually said after catching her breath. “Oh, look! There it is!” Their four eyes landed on a sparkling lake which was almost at their reach. The lake contained several smiling pokemon who looked like they were having a blast, which made Lillian want to jump in even more. Before she could take another step, Cream spirited forward and did a cannon ball, making water splash everywhere. “Oh Cream…” Lillian giggles once again, slowly walking to the watering hole with a huge smile. She sat down at the edge of the lake gingerly, dipping her toes into the water as the pokemon that surrounded her continued to have fun like nothing happened. Many little coding errors need fixed, but that's the biggest problem.